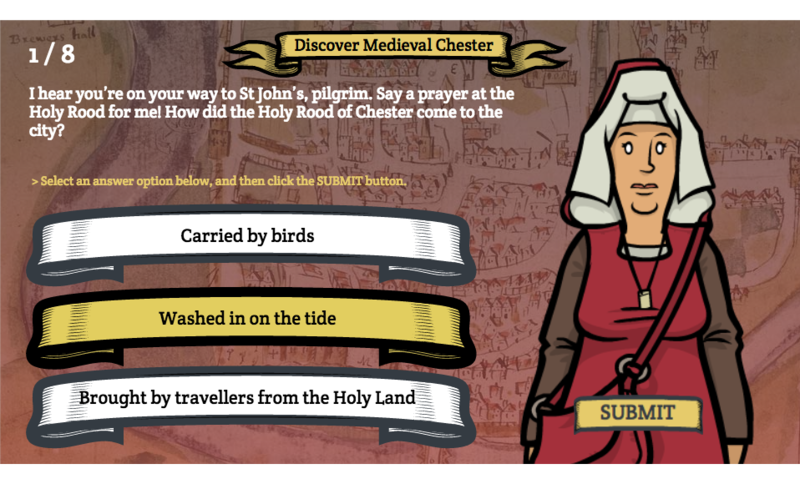 Encouraging students to test their knowledge of Medieval Chester. 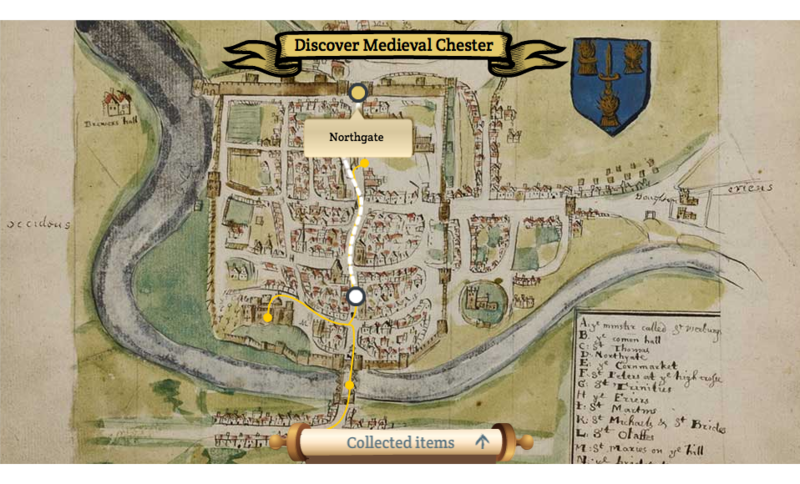 An HTML5 game aimed at KS2 students which encourages them to test their knowledge of Medieval Chester after an exploration of the Discover Medieval Chester website. 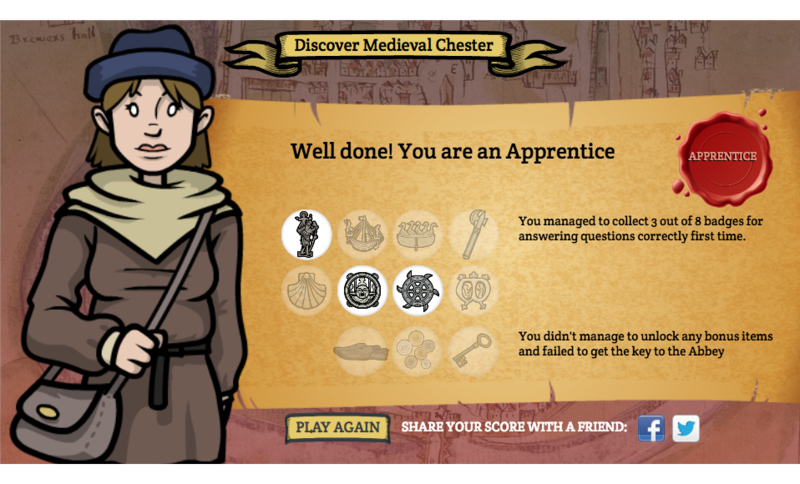 The main character (a pilgrim) makes his or her way through the medieval city and is asked questions by a number of different characters. Play it here.